From tram crashes to motel fires, the disaster plotline is a soap opera staple. Next week, tragedy will strike the residents of ITV’s Coronation Street, as the roof of the Underworld textiles factory collapses, leaving Sally Metcalfe (Sally Dynevor) and Gina Seddon (Connie Hyde) trapped in the rubble. Corrie bosses have teased that one character will die as a result of the collapse, which looks likely to be down to sabotage. It’s not the first time such trouble has come to the cobbles of Weatherfield. If it existed outside Soapland, health and safety officials would likely have closed the Underworld factory years ago. David Brown, deputy TV editor for the Radio Times, says of the location: “Underworld is massively dangerous. It’s just completely cursed. “Over the years, we’ve had people falling down the stairs and dying, a body buried under the floor, a siege on the premises and the whole place being engulfed by fire. It’s not just the residents of Coronation Street who dice with death just by living there. 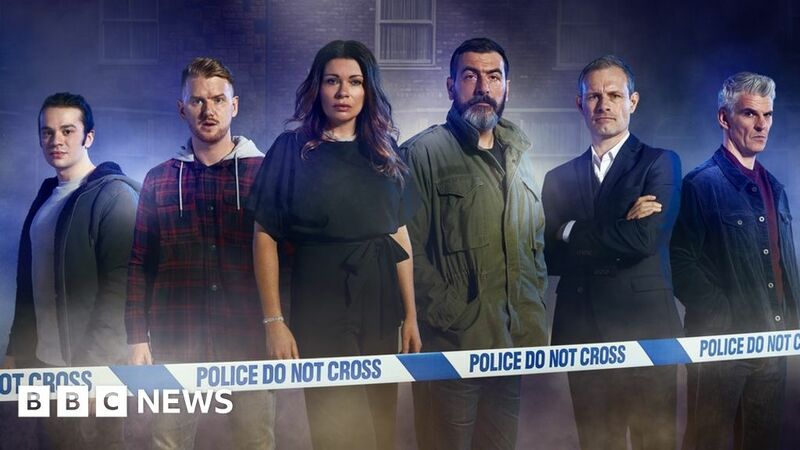 Last year, Channel 4’s Hollyoaks was crowned the deadliest soap on British TV, with 10 of the 16 soap murders of 2018 happening on the show. The same research found that Coronation Street’s fictional town of Weatherfield is officially the most dangerous place in the world. It beat the real-life deadliest place in the world, the Mexican town of Los Cabos. Major disasters like the Underworld roof collapse or Emmerdale’s storm of 2003 certainly contribute to the death toll. Brown says there’s a reason disaster plotlines hit Soapland so regularly: “Disaster plotlines are an effective way of both uniting the community and giving the soap a ratings spike. “Obviously, because we follow these characters over years and sometimes decades, we’re emotionally invested in their fates. Disasters in soaps can also occur for other reasons. Television historian and author of the book Soap Opera, Dorothy Hobson, tells the BBC: “When new sets are being built it gives an opportunity for disasters as the old set is destroyed. So where do our TV experts think is the most dangerous place to live in Soapland? “Down the decades, we’ve had every form of disaster hit Coronation Street. Why anyone would want to live in one of those houses or drink in the Rovers is anyone’s guess. A derailed tram, infernos, car smash-ups – it’s seen it all. “Emmerdale is the most dangerous with the recent storyline in 2015 with a storyline entitled Summer Fate, when after a car crash a helicopter fell out of the sky and crashed into the village hall during a wedding. “In the aftermath two characters were killed and in one of the most spectacular incidents, Val Pollard (Charlie Hardwick) was killed by a shaft of mirror falling onto her. In the early 1990s, rural soap Emmerdale’s ratings were falling. ITV bosses decided to shake things up with a major disaster storyline. Just after Christmas 1993, a plane crashed into the fictional village of Beckindale, controversially coinciding with the anniversary of the Lockerbie disaster. It led to the deaths of four regular characters, and to Beckindale being renamed Emmerdale in May 1994. Around 18 million people reportedly tuned in, and the crash, which cost £1m to stage, certainly got Emmerdale noticed by a wider audience. Honourable mention should go to Australian soap Neighbours, who killed off three characters in a plane explosion and crash to mark the soap’s 20th anniversary in 2005. Nothing says ‘happy anniversary’ like some airborne carnage! The soap’s 50th anniversary was marked with a week of episodes based around a tram crash, which killed off two characters. The ambitious final episode, which was broadcast live, involved 65 actors and a 300-strong crew portraying the aftermath of a devastating gas explosion. The daytime soap and its short-lived millennium reboot have long since departed from ITV’s schedules, but many soap fans remember this plot as one of the most exciting of the time. Motel owner Meg Mortimer apparently died in the fire, but later turned up alive, setting sail for a new life aboard the QE2. BBC One’s EastEnders doesn’t have quite the same budget for an annual disaster as soaps on commercial channels do and, boy, did it show in this 2004 plot. Disaster struck Albert Square in the form of – wait for it – a collapsing helter-skelter. US soap Dynasty was never known for its understated plotlines, but this one was more out there than most. The show’s fifth series ended on a cliffhanger, as Amanda Carrington’s (Catherine Oxenberg) wedding to Prince Michael of Moldavia (Michael Praed) was interrupted by a military coup. The episode ended with most of the wedding party lifeless on the floor, but the following series revealed that all but two of the main cast had survived the disaster.